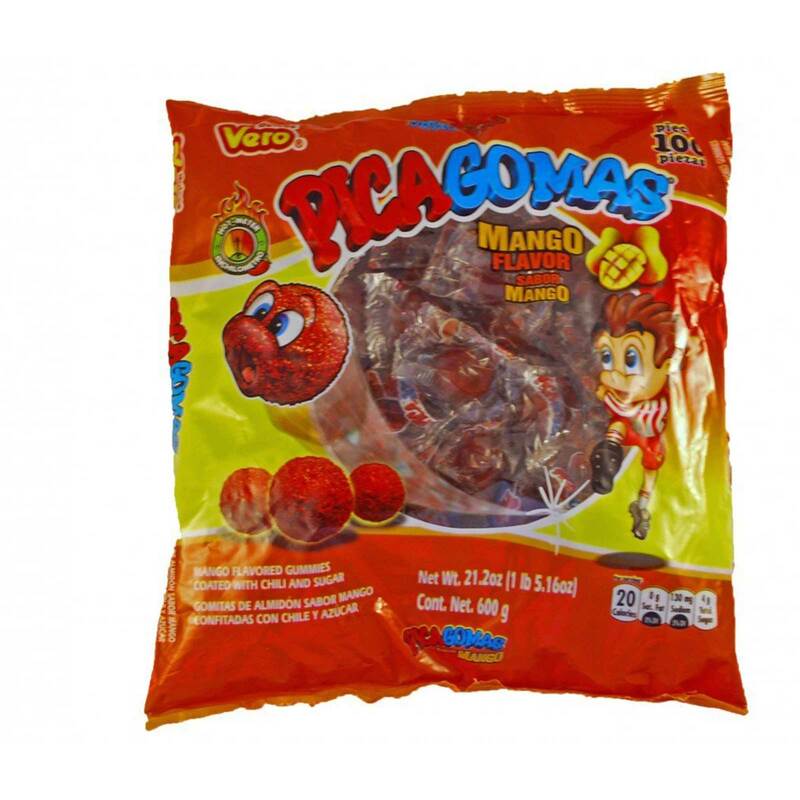 A delightful mexican confection, pica goma, made by vero is a MANGO-flavored chewy spicy gummy covered in chili. Pica fresa comes in bags of 100 individually packaged ball-shaped candies. The sour and chili coating contrasts the sweet MANGO center to create a delicious mixed taste. As the coating wears away, the MANGO flavor overwhelms your taste buds and leaves you craving for more. Order VERO PICA GOMAS MANGO in bulk at wholesale price at Volt Candy Online.